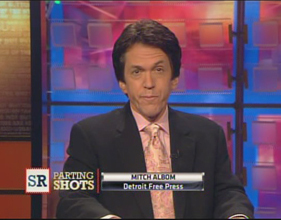 Archive for "Parting Shots Videos"
From the August 14, 2011 episode of Sports Reporters. 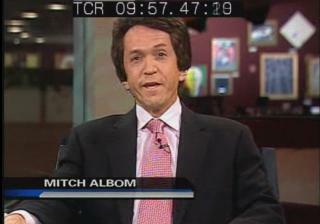 From the June 5, 2011 episode of Sports Reporters. From the May 22, 2011 episode of Sports Reporters. 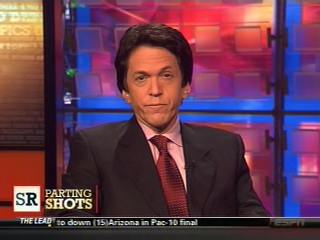 From the March 13, 2011 episode of Sports Reporters. Sometimes sports is about bodies and hearts, and sometimes the body fails. Sometimes the hearts do too. But the soul of sports can still shine. From the January 23, 2011 episode of Sports Reporters.